Join art educator Jason Sellars for an evening of watercolour painting. 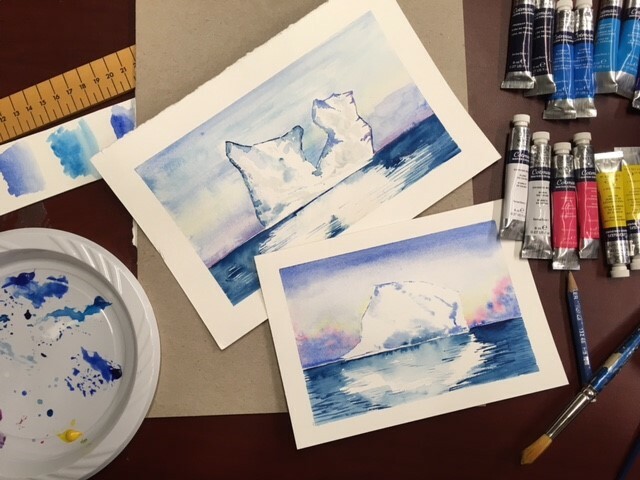 Try your hand at watercolour painting, learning a variety of techniques to create your own one of a kind artwork inspired by the majestic iceberg. 19+ event. Ticket includes one drink ticket. Bar service available. No experience required. Purchase tickets online now with the Book Now button.